Harvey. Unrelenting floods hit Houston. Irma. Winds lash throughout the Florida Keys. Maria. 100% of Puerto Rico loses power. This year’s hurricane season has left a wake of destruction in its path. It has displaced many, ruined livelihoods for others, and left communities without access to vital necessities like food, power, or water. Both the frequency and strength have been close to unprecedented in recent history— this September set the record for major hurricane days and possibly storm days, as well. 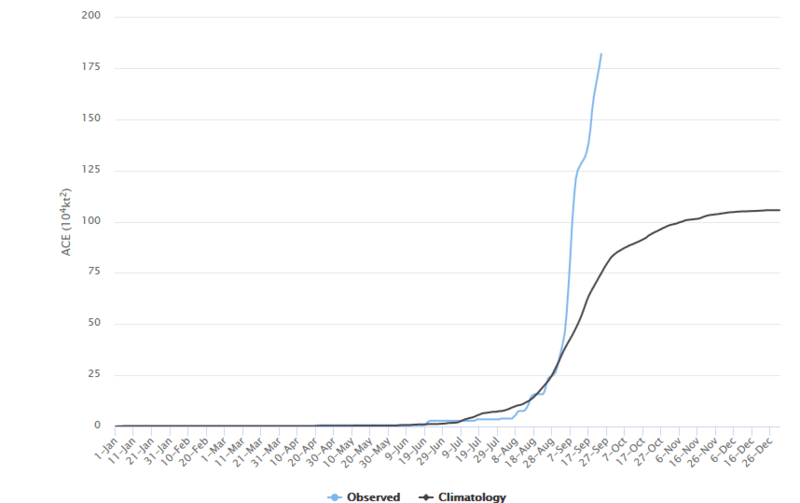 Although data collection over the past 100 years on hurricanes has been problematic, there is no contesting that there has been a significant uptick in hurricanes in the Atlantic. There storms are a product of warming waters caused by climate change. Recently I was at a meeting where survivors of this year’s slew of storms spoke of their cities’ struggle to stay safe and rebuild. They recounted how the most marginalized of their communities — low-income, black, undocumented peoples— are being hardest hit. One story of a leader from Houston particularly caught my attention. She recounted her experience of seeing industrial facilities take advantage of the disaster by dumping toxic waste into the low-income communities they’re located in to get around toxic emission standards. Her voice caught as she related to us how this industrial dumping exacerbated the already life-threatening realities of the hurricane on her neighborhood. My thought process: Who is collecting data on this? How? How can these communities gain access to that data so they can use it effectively to share their story and advocate for themselves? There are two important Energy Data Justice pieces of the Houston story for me. First are the toxic emissions being spewed into the neighborhood. Toxic emission data should hold the industries accountable for their actions, even in the case of a disaster. Second is the disaster itself. Climate change data has consistently come under persecution and threat in the United States, and to deny its presence is to deny these communities justice. These hurricanes should be a catalyst for conversation around environmental data justice and who we are helping and harming in how we look at data.